Down at the Trailer Park | What are you drinking? I went to Dirty Bills last night for a few beers with JC (not the JC) and some other fun friends. I started off with some delicious IPA, but an interesting concoction caught my eye: The Trailer Park. This is a down market twist on the lovely summer shandy. 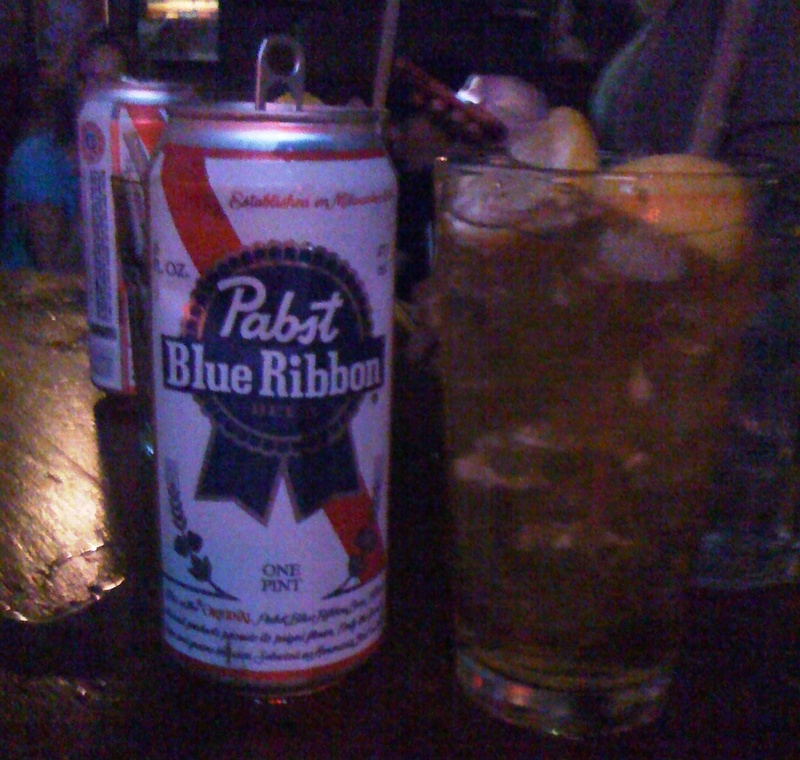 The Trailer Park is a Pabst Blue Ribbon tall boy pour over ice with a few lemon wedges. So how does it taste? Like watery, lemony, cheap beer. At least it’s cold with all of that ice. And hey, at least all the extra water helps you stay hydrated. Tags: Beer, Dirty Bills, Pabst Blue Ribbon, What are you drinking?